Jill is a true professional. Great speaker and brilliant moderator. She is very knowledgable on many topics of interest in today’s changing marketplace. 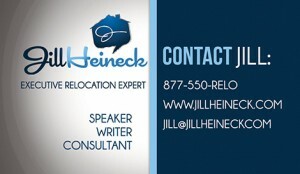 Jill Heineck is arguably one of the most dynamic relocation experts in the industry today. She started her residential real estate career in her mid-20s, working with mainly high-level executives in and around Atlanta, GA, relocating them to and from all around the globe. In 2002, she earned her Associate Broker designation, and later earned her Senior Certified Relocation Professional (SCRP®) designation. At the 2012 Worldwide ERC National Relocation Conference, she was awarded the prestigious Meritorious Award, as well as Mobility Magazine’s Editorial Achievement Award. In 2013, Jill was awarded the Distinguished Service Award, in recognition of her continuous dedicated service and outstanding professional contributions to the global workforce mobility business community. In 2006, Jill was diagnosed with uterine cancer at age 35. In true Jill fashion, she embraced the disease head on and conquered it after surgery, six long rounds of chemo, and extreme hair loss. 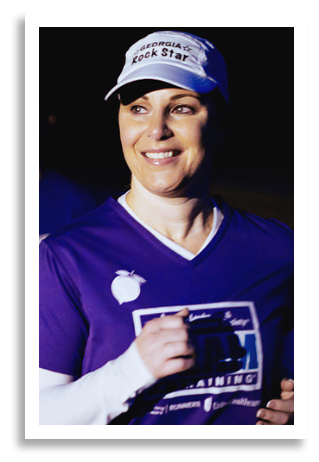 In 2011, at age 40, Jill ran her first half marathon with Team In Training with LLS – the Leukemia Lymphoma Society, finishing in under three hours. 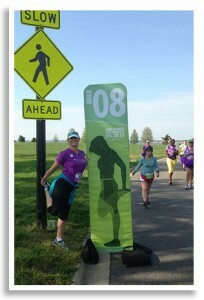 Four races, and nearly $20,000 later, Jill is one of the Atlanta chapter’s top fundraisers. In total, Jill has been in the relocation space for 15 years and has enjoyed many career achievements. As one of 20 founding partners of Keller Williams Realty Southeast, she has been a part of one of the most exciting real estate stories of the last decade. Her passion around relocation and talent mobility within the residential real estate space has received special notice and given way to the newest addition to her many talents, as a speaker and consultant. Aside from her amazing accomplishments in real estate, Jill has become a requested speaker, moderator, and panelist at HR conferences, and industry relocation conferences. Speaking from her heart about the importance executive buy-in is to the success of the organization, audiences get an experience they did not expect from a session about relocation! A composed presenter, she has participated in such conferences as SHRM-Atlanta, Worldwide ERC’s National Relocation Conference, Worldwide ERC’s Global Workforce Symposium, Charlotte Metro Area Relocation Council (CMARC), Chicago Relocation Council (CRC), Greater Washington (DC) Council (GWERC), to name a few. Additionally, she has been quoted in the Atlanta Business Chronicle, Atlanta Journal-Constitution, and The Piedmont Review. A soon-to-be top-selling author, Jill is working on her first book geared to mobile, global organizations. Relo expert, writer, Realtor®, and cancer survivor, Jill is many things to many people, but above all, she is entertaining, and an inspiration. Copyright © 2014 | Copyright 2014 Jill Heineck | All Rights Reserved | All rights reserved.